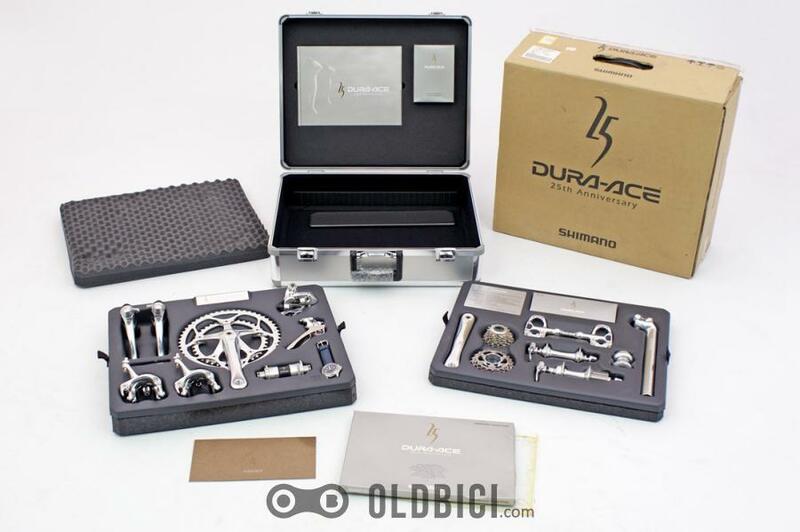 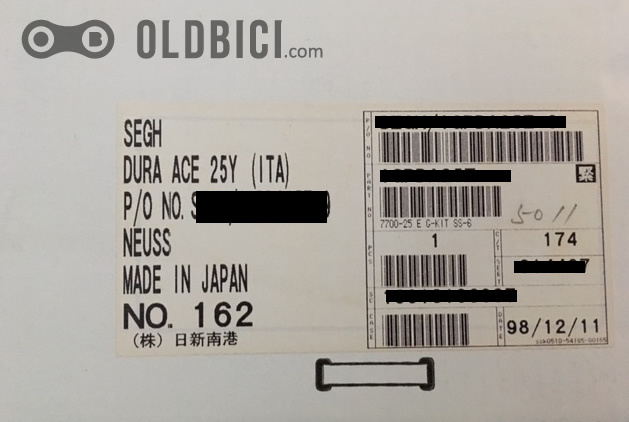 Here we present Dura-Ace 25th anniversary group #162 with matching numbers including original packing box, case, documents and small parts. 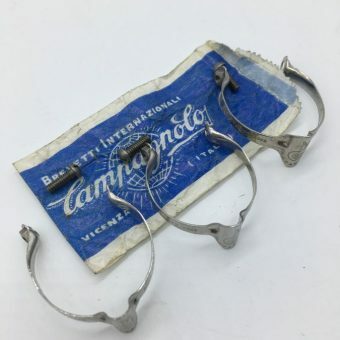 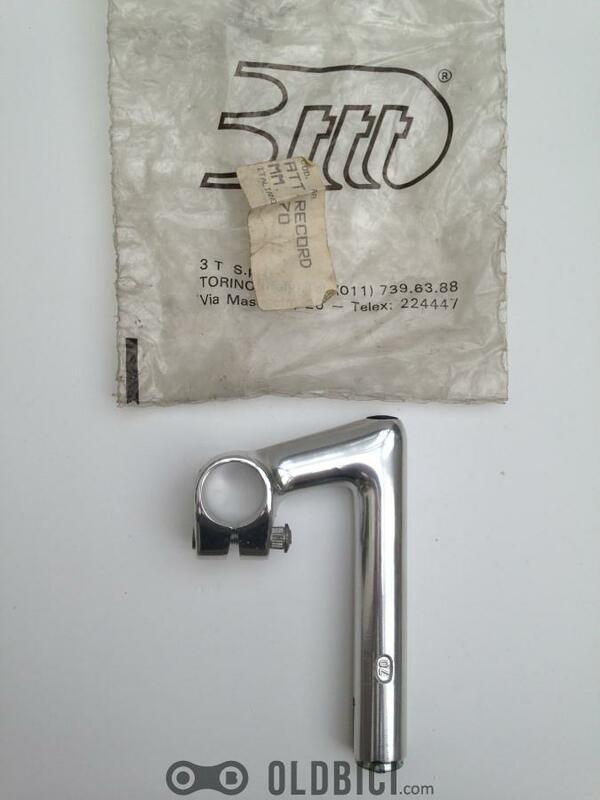 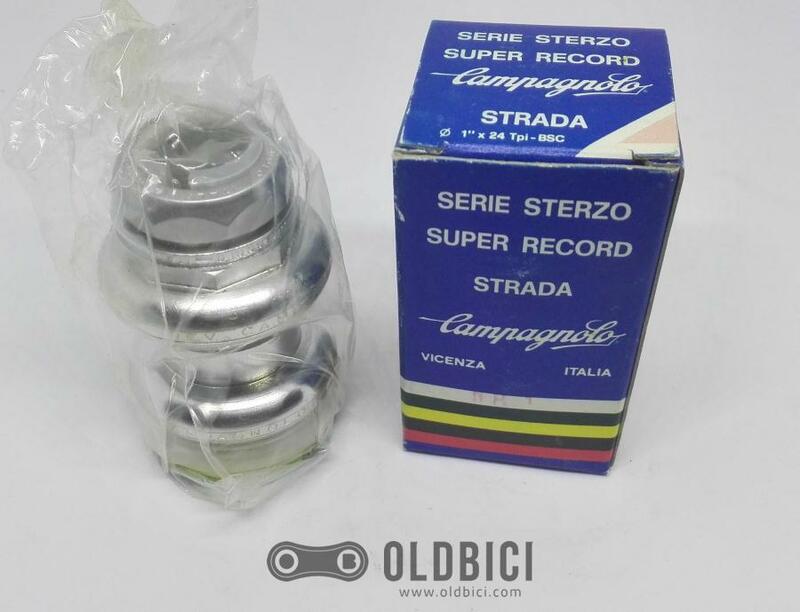 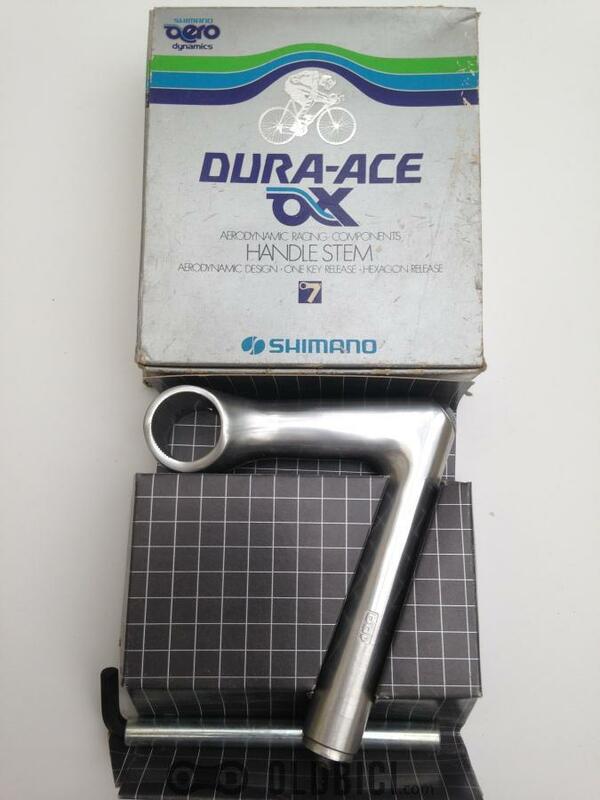 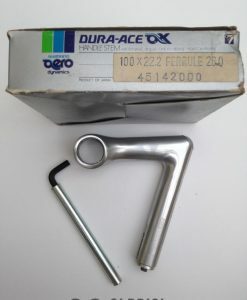 The “Dura Ace” called top-of-the-range group from Shimano, Japan was introduced in 1973. 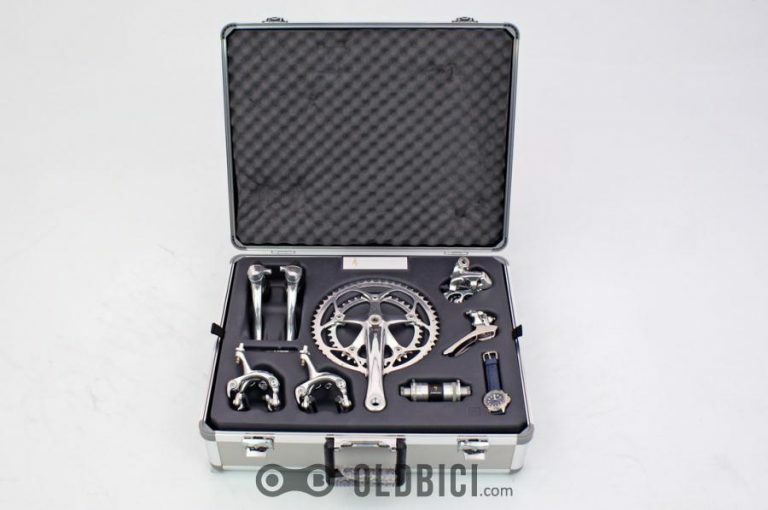 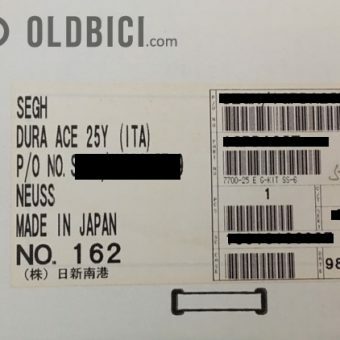 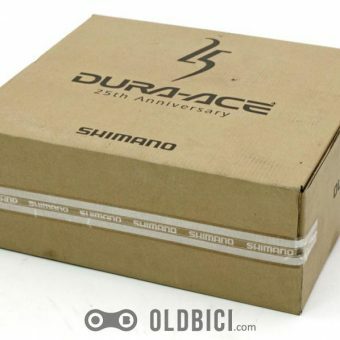 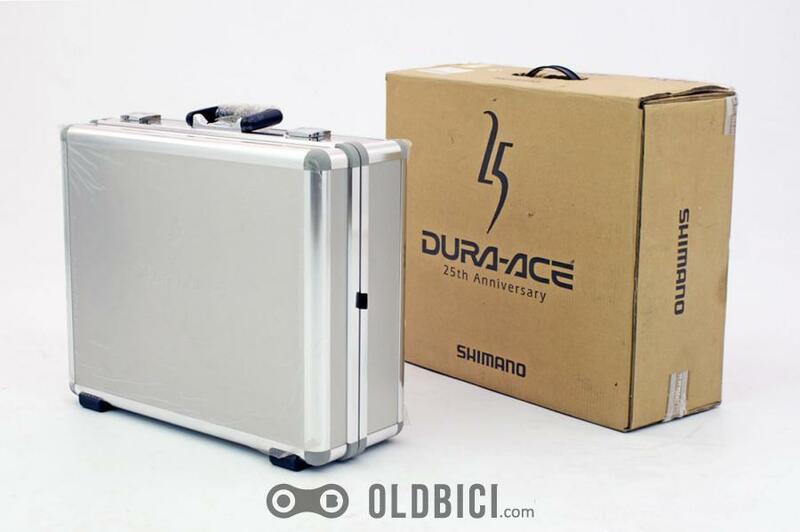 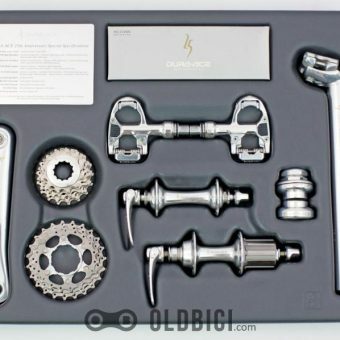 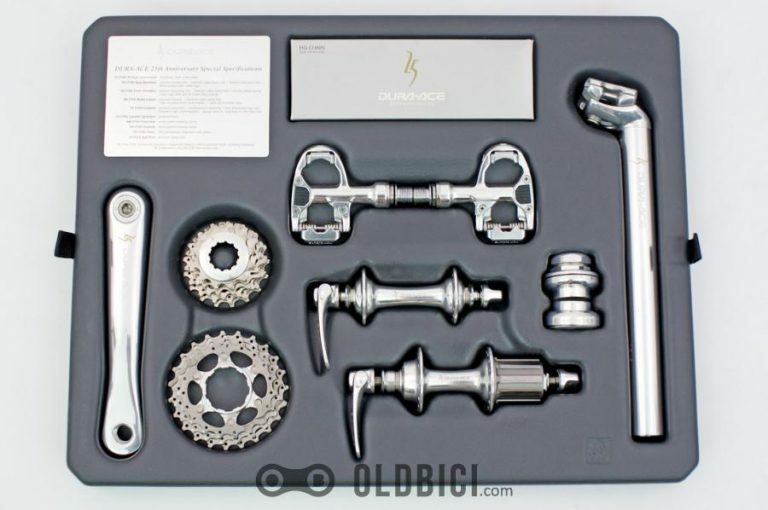 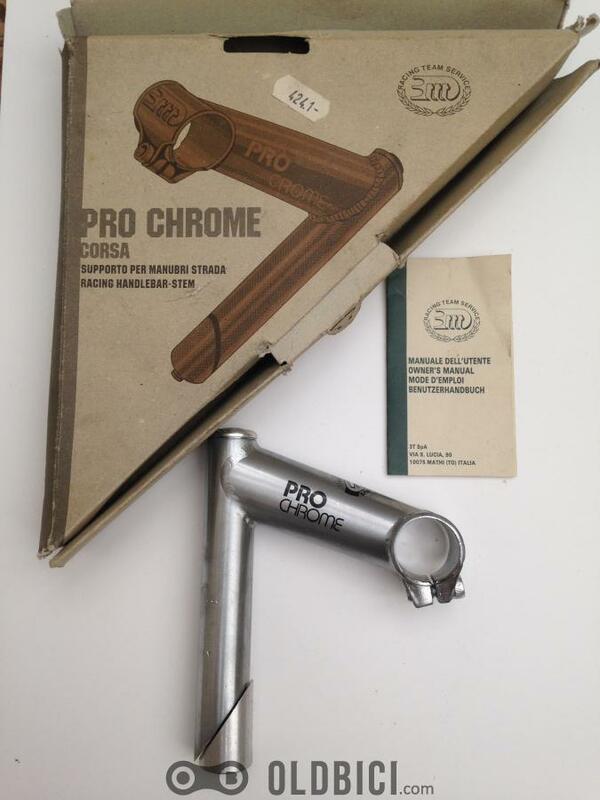 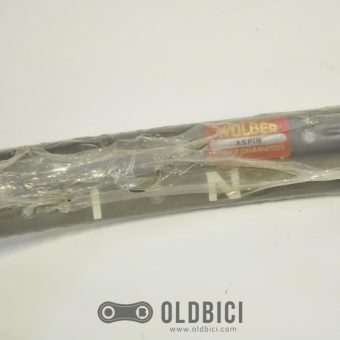 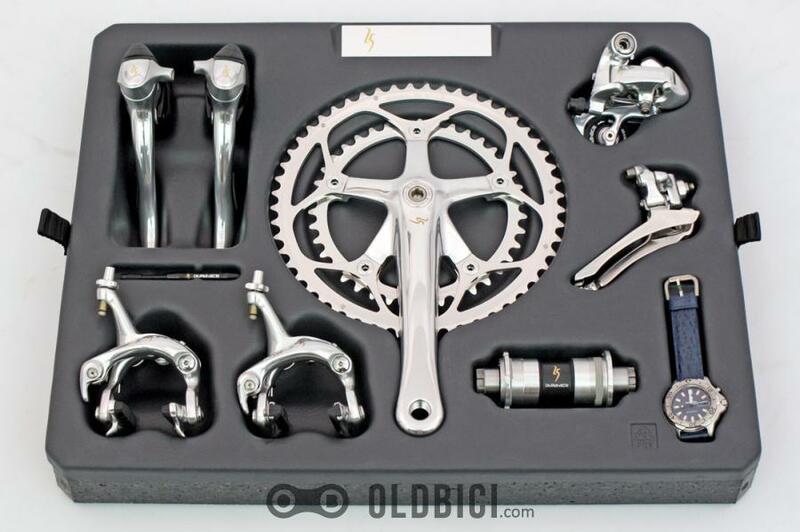 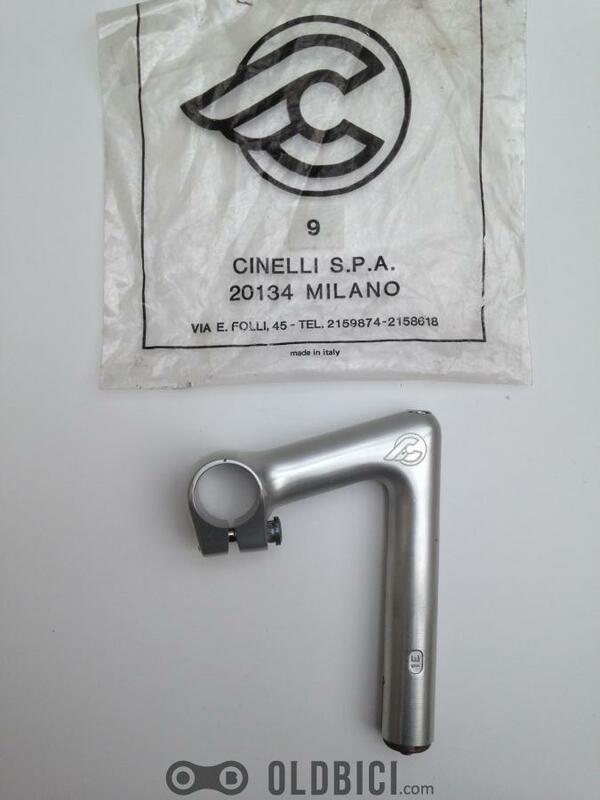 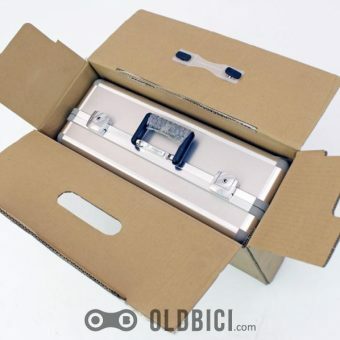 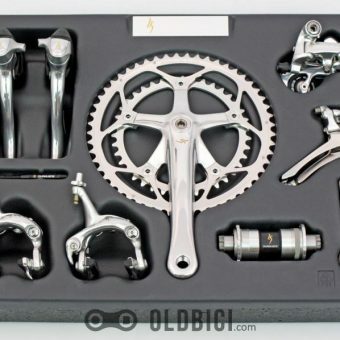 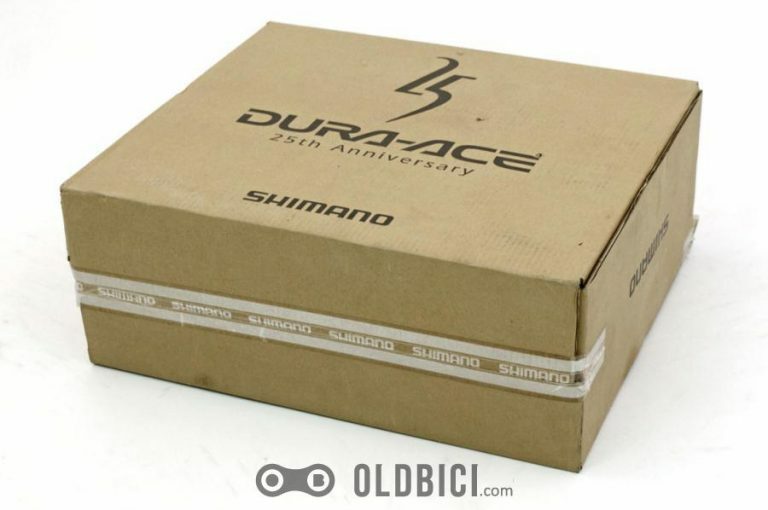 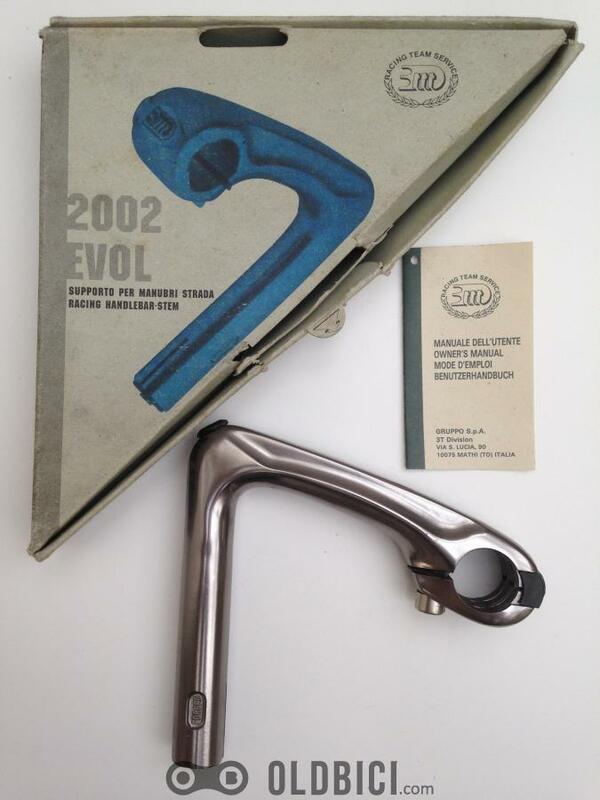 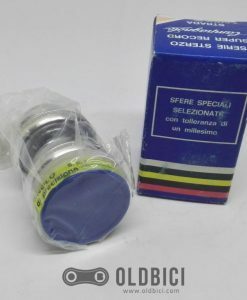 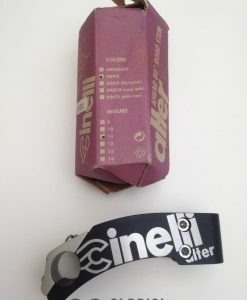 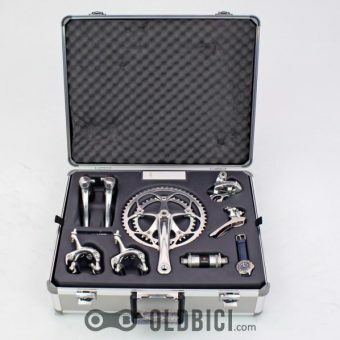 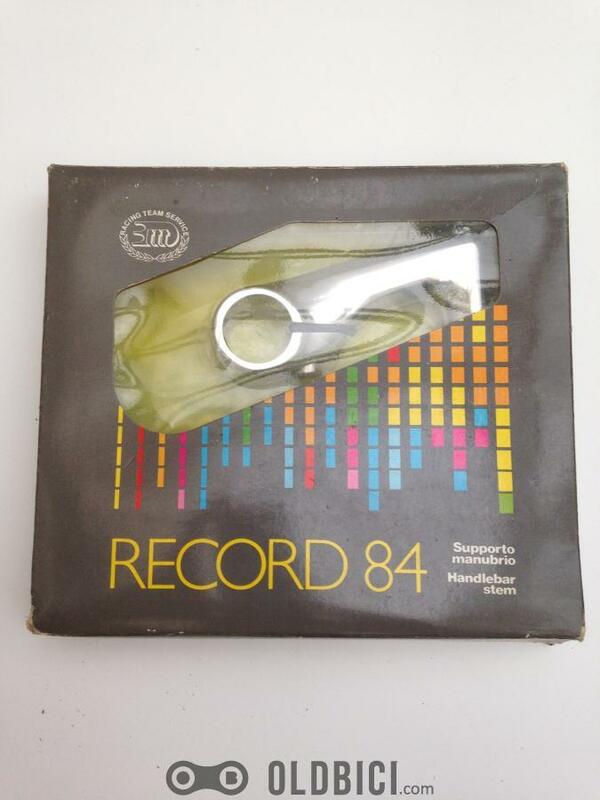 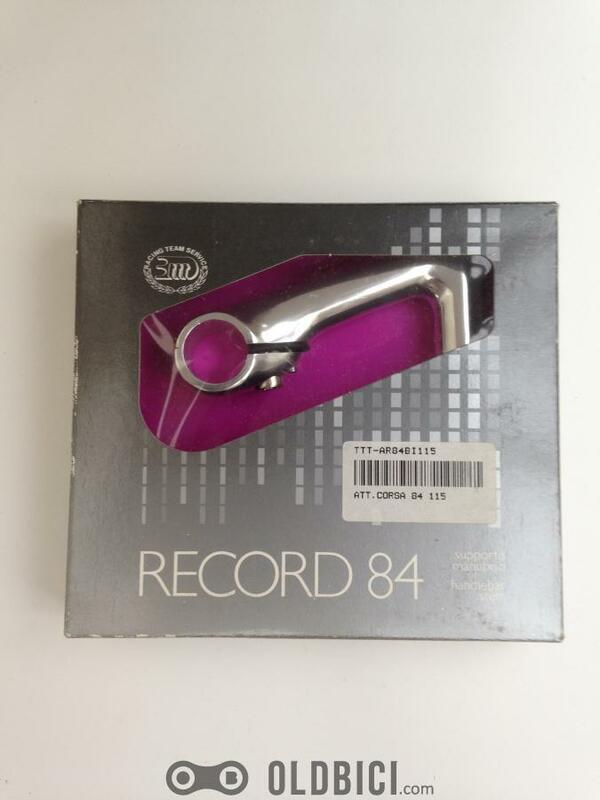 In 1998 Shimano released a limited and numbered series of the 25th anniversary group in a luxurious packaging, brand new and enclosed in an elegant suitcase. 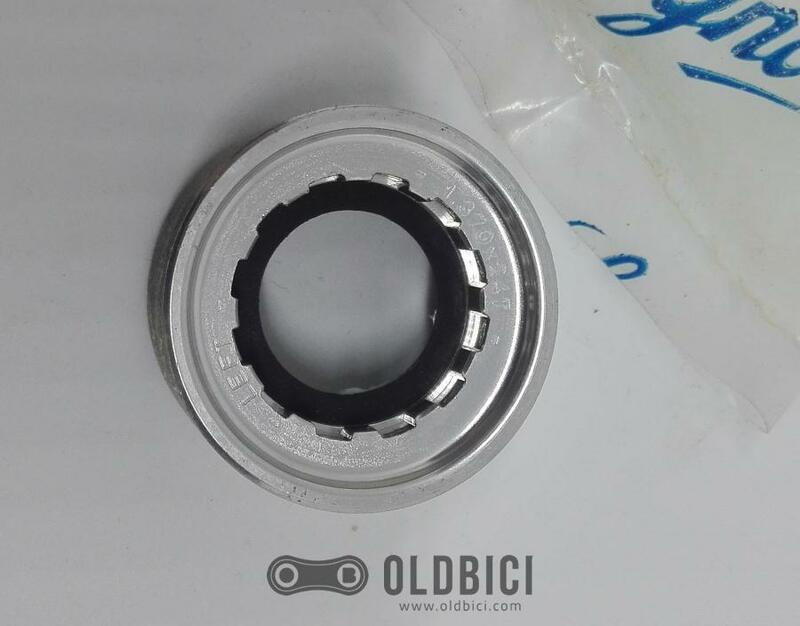 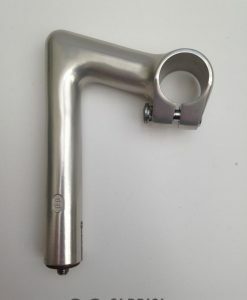 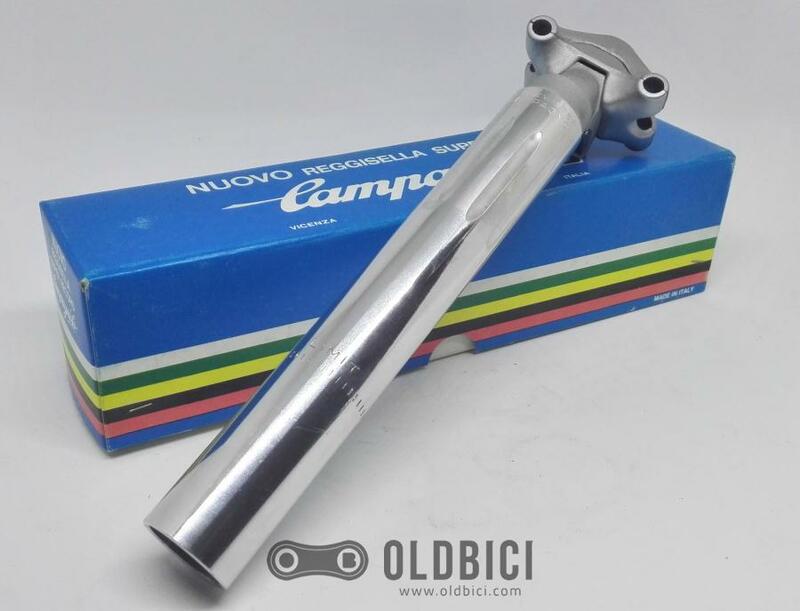 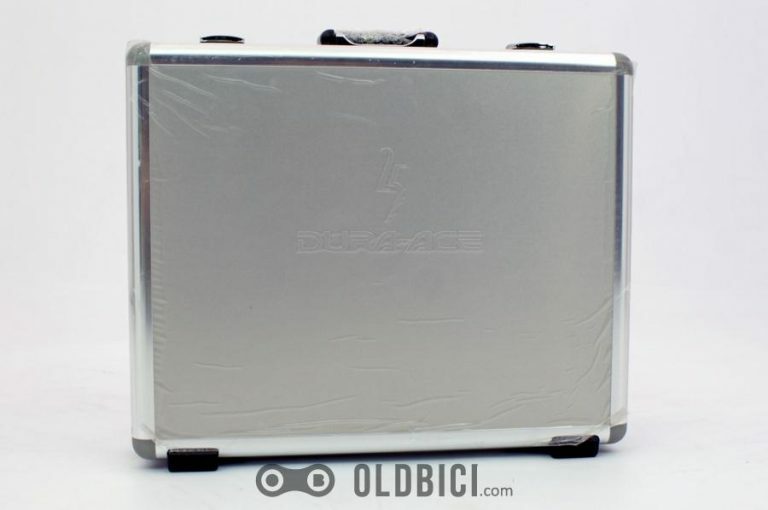 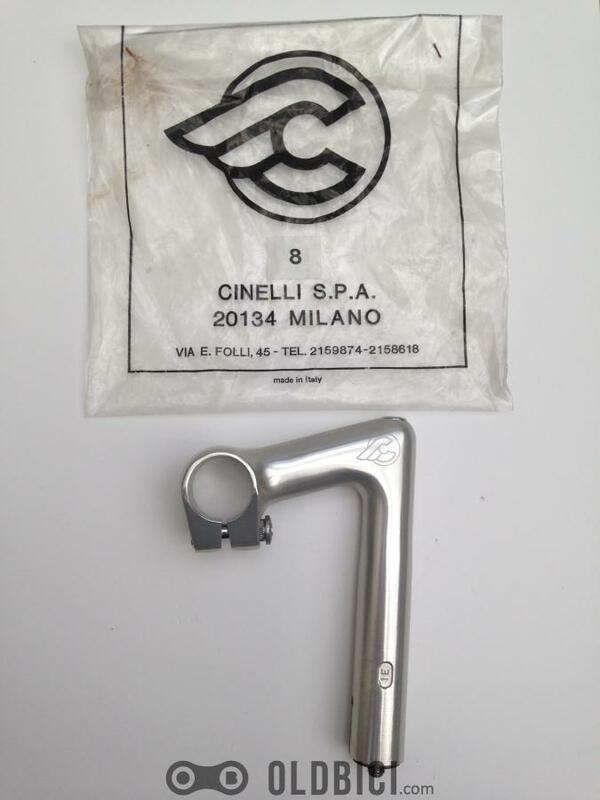 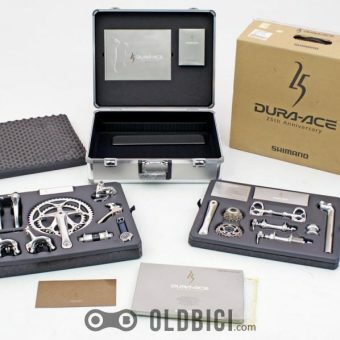 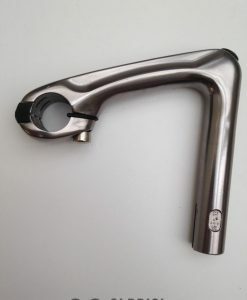 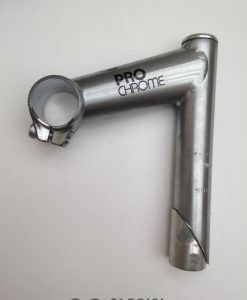 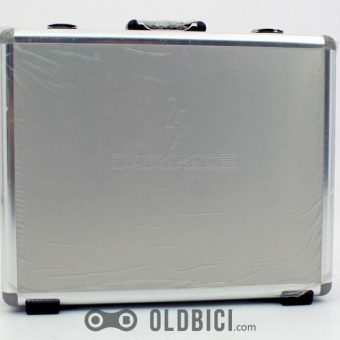 The components are based on the 1999 Dura-Ace 7700 series components, but there are significant differences. 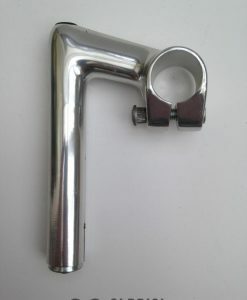 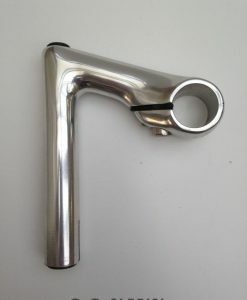 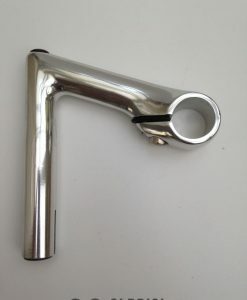 Component surfaces have been hand polished to a mirror like finish and more titanium hardware is used throughout the group. 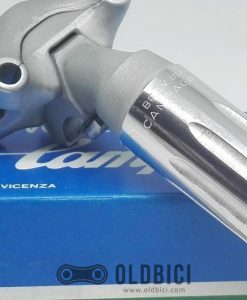 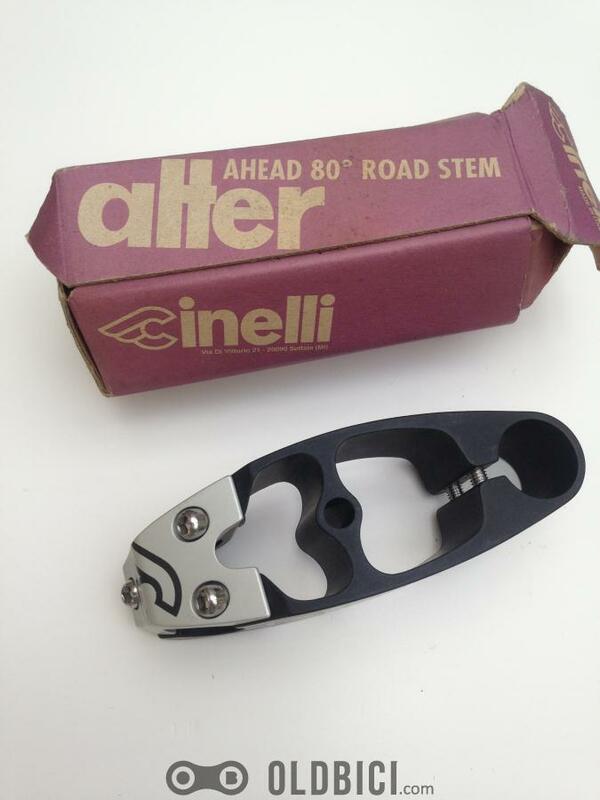 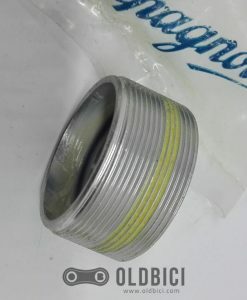 Each components is also identified with a special 25th Anniversary emblem. 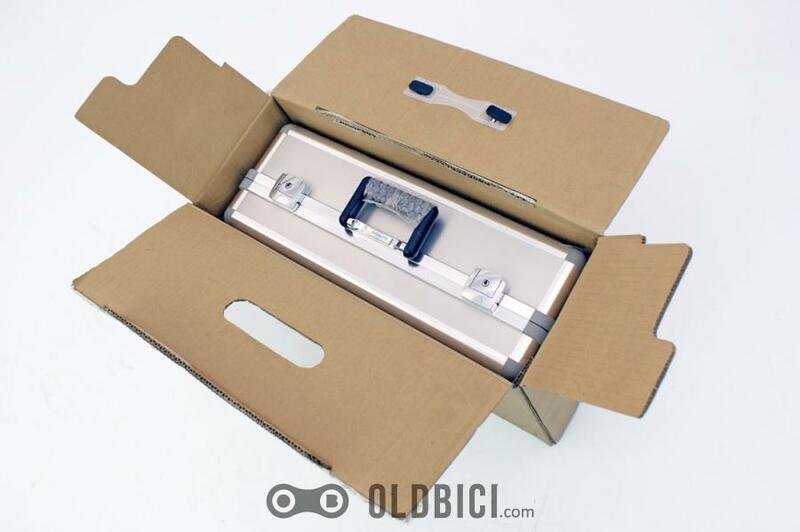 Detailed specifications are provided with the group. 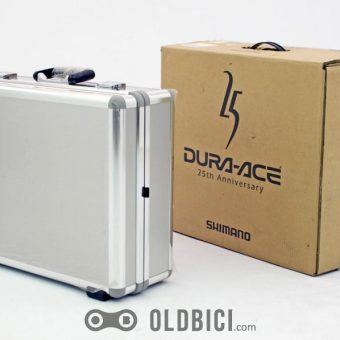 The box included Seiko Automatic watch in stainless steel with leather strap customize by Shimano Dura-Ace. This series is a special Dura-Ace released in commemoration of 25 year since its introduction in to the market.